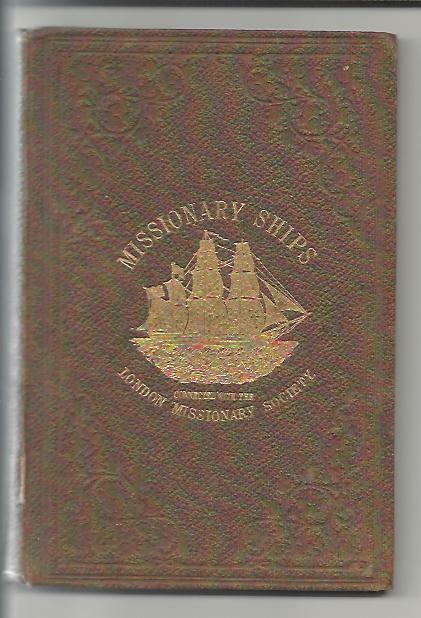 Title: MISSIONARY SHIPS connected with The London Missionary Society 1865 FIRST EDITION with gilt stamped ship motif to cover . Author: compiled by E Prout for the Directors of the London Missionary Society with engravings to various pages and a history of the ships & masters. Condition:Strong brown floral-blindstamped hardcover with bright gilt ship motif to front (see scan), no inscriptions, frontisp. of "The Duff" ship, pages are very slightly age-toned but ROBUST as is the stiching, No inscriptions or names, in GOOD CONDITION. Description: From 1795 the LMS operated ships in S America and the Pacific. Covers The "Duff" "Haweis"; "Endeavour", "Messenger of Peace", "Camden", "John Williams". The book has many fine engravings including of Sydney, Samoa, Raratonga, New Caledonia & many others. 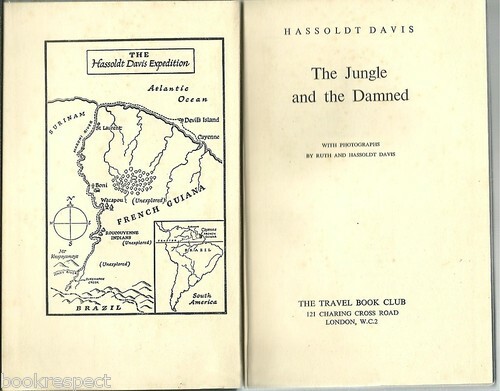 Publisher: The Travel Book Club, London, n.d. (1954), 255pp., hardcover 8vo,3 chapters, b/w photo illustrations, Index. Condition:Blue cloth-bound hardcover with title to faded spine, STRAIGHT, TIGHT and CLEAN in GOOD CONDITION with fading to blue cover, internally robust with a neat name on pen to the front paste-down. Description: The evils of Devils Island; The Bonis people; The Roucouyennes. Sensational pictures and stories of the fringes of unexplored territory. Publisher: National Library of Australia, Canberra, 1996, hardcover large 8vo without dj, 189pp., COLOUR & B/W ARTWORKS/ILLUSTRATIONS throughout, illust. to eprs, 11 Chapters. Condition:Illustrated hardcover with title to spine & front cover, minimal edgewear, CLEAN & TIGHT in GOOD CONDITION, name stamp to front endpaper, without dustjacket (as issued?). Description: The French Government appointed her husband to command a round-the-world scientific expedition, and 22 year-old Rose (married 3 years) stowed away on the Uranie to be with her husband. Chapter (9) on the Uranie's visit to Sydney and environs in 1819. Condition:Yellow/gold cloth-bound hardcover with red title to spine, minimal edgewear, CLEAN & TIGHT in VERY GOOD CONDITION, previous owner's name to frepr, in an unclipped GOOD DUSTJACKET. 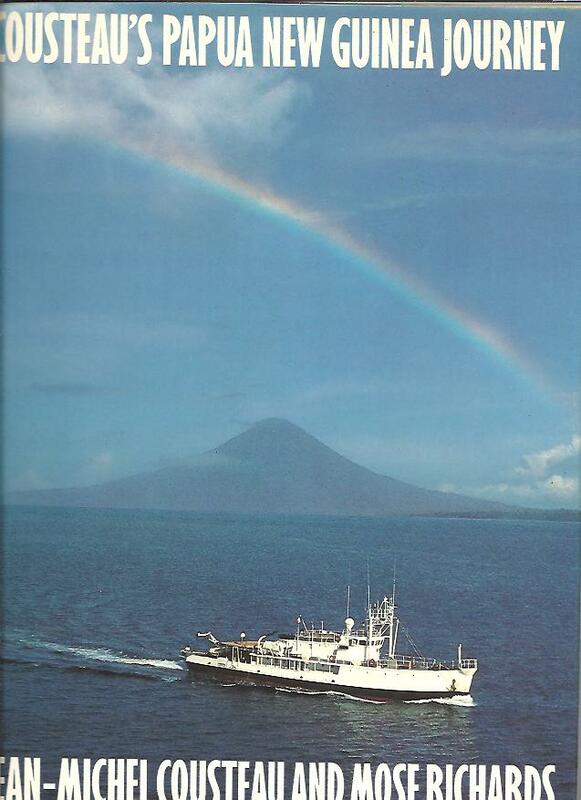 Description: In 1988, as one of the first in a series of expeditions called "Rediscovery of the World", the Cousteau Society set out to explore the rich aquatic and land environments and diverse cultures of the eastern half of New Guinea. Condition:Blue cloth-bound hardcover with title to spine & boat design to frcvr, slight rubbing to spine & corners, no inscriptions, CLEAN & TIGHT in GOOD CONDITION in an unclipped GOOD DUSTJACKET with sticker remains to frcvr, rubbing & edgewear. Description: Here is the true story of discovery, adventure, and settlement in the wide expanses of the Pacific Ocean, from the first hazardous voyage of Magellan to the closing years of the 19th century. Description: Simpson takes us beyond a last frontier of the primitive world, and even to natives who have not seen a white face before. 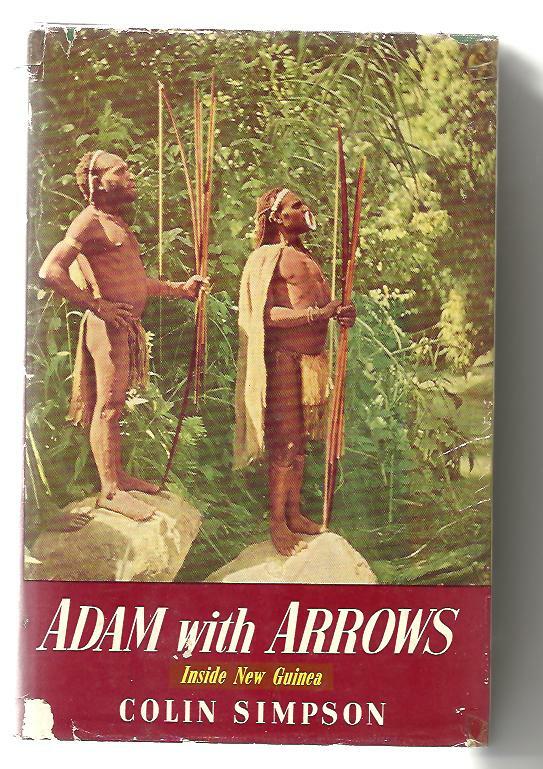 The only writer to have been on patrols in uncontrolled areas of New Guinea. A magnificent record. Condition:White cloth-bound hardcover with title to spine, slight rubbing to spine & corners, no inscriptions, CLEAN & TIGHT in GOOD CONDITION in a clipped GOOD DUSTJACKET with slight edgewear in a clear plastic protective covering. Description: Willey spent the year 1964 in New Guinea and the Islands which was a critical year with the election of the first native-dominated parliament and the presence of Indonesia on the barely marked border with West Iran. 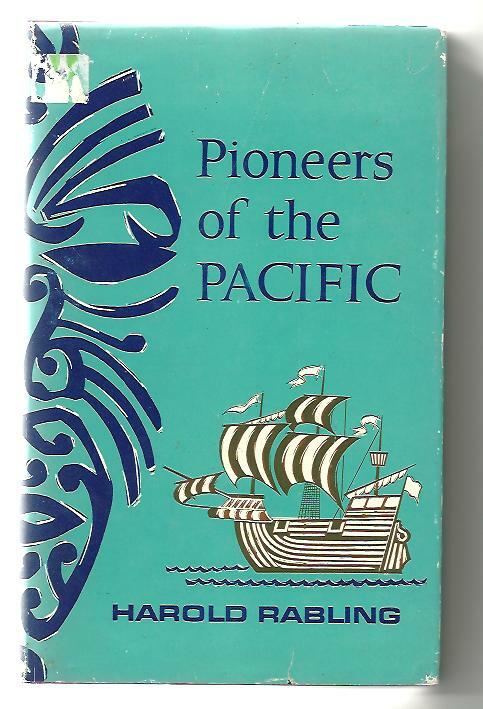 Author: Judy Tudor (editor of Pacific Islands Monthly) The South Pacific in the 1960s. 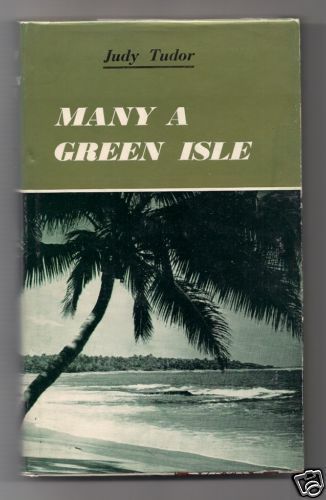 Publisher: Pacific Publications, Sydney, 1966, 1st Edition, hardcover 8vo with d/j, 256pp., B/W PHOTOGRAPHS & MAPS, Map to eprs, 3 Parts, 16 Chapters & INDEX. Condition:White cloth-bound hardcover with title to spine & design to frcvr, minimal edgewear, no inscriptions, STRAIGHT, CLEAN & TIGHT in GOOD CONDITION, in an unclipped GOOD DUSTJACKET with very slight edgewear in a clear plastic protective covering. 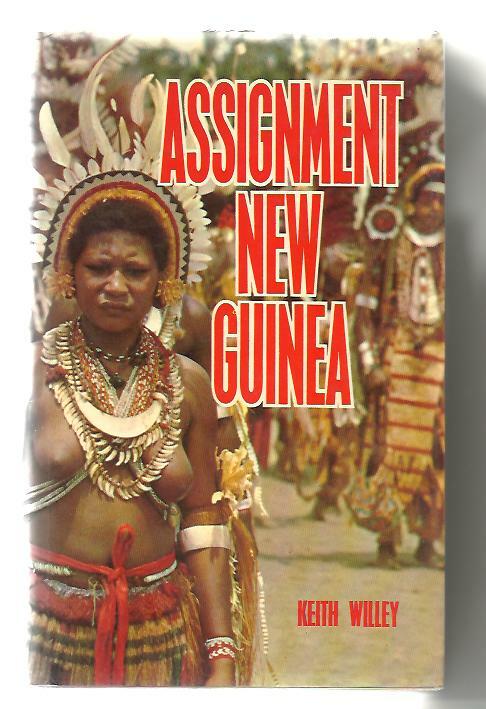 Description: Book One: The Queen's Inheritance - Fiji - 4 Chapters :Book Two: Of Men Bedeck'd in Divers Colours - Papua; New Guinea; West New Guinea - 7 Chapters : Book Three: Beyond the Eastern Sky; Tahiti; Cook Islands; Gilbert & Ellice Islands; Nauru; 5 ch.